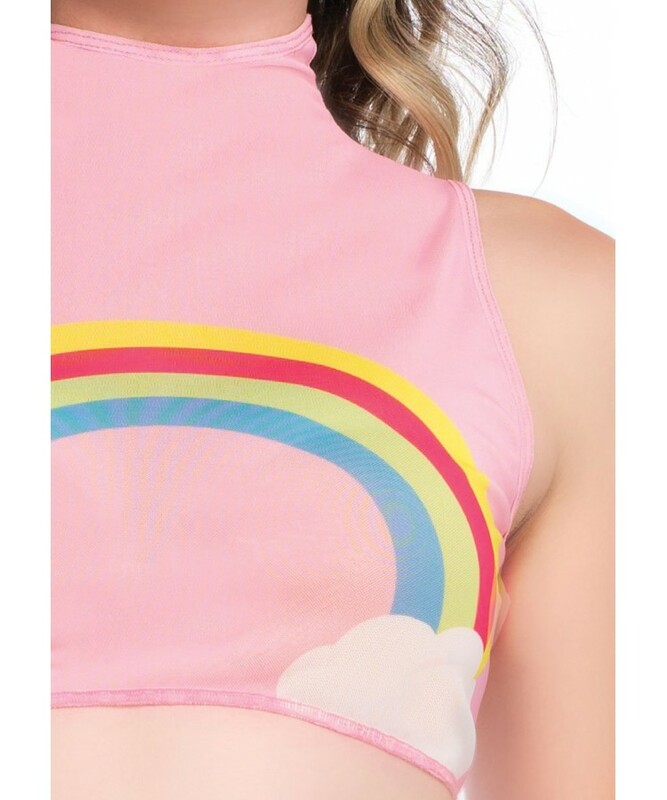 Perfect for raves, conventions and music festivals, this adorable rainbow crop top is sleeveless. Light weight mesh fabric crop top breaths while you are dancing or just enjoying your favorite festival. Baby pink with fun rainbow print, it has a high neck and zipper back closure. In Small - Large. Great for Pride day celebrations too. Item Number: LA-8280 | Approximate Size (Inches): 8.00 wide x 0.20 deep x 10.00 high | Approximate Shipping Weight: 0.50 lbs.